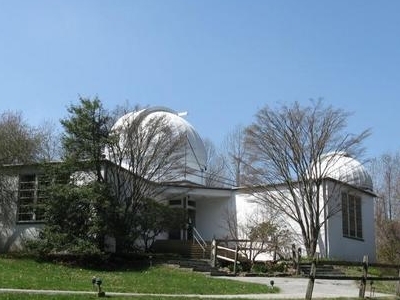 Mount Cuba Astronomical Observatory is an astronomical observatory is located at 1610 Hillside Mill Road, Greenville, Delaware, USA. This observatory is home to a 0.6-meter telescope used by the Delaware Astronomical Society, the University Of Delaware, and the Whole Earth Blazar Telescope. Associated with the Observatory is the Mt. Cuba Astronomy Group (MCAG). The MCAG is composed of interested amateurs and engages in astonomy education and public outreach. Meetings are held the second Tuesday of each month at the Mt. Cuba Astronomical Observatory. Here's the our members favorite photos of "Observatories in Newark". Upload your photo of Mount Cuba Astronomical Observatory!